In 2015, Hanya Yanagihara stunned the literary world with her second book, the profoundly moving novel, A Little Life. Challenging, breathtaking, and groundbreaking, it became one of the most critically acclaimed novels of the year and solidified Yanagihara's place as a major new voice in American fiction. Hanya Yanagihara is an American novelist. Following the publication of her first book, The New York Times declared Yanagihara “a writer to marvel at.” Her most recent novel, A Little Life, was a National Book Award finalist, a Man Booker Prize finalist, and Kirkus Prize recipient. It appeared on numerous best books lists from The New York Times, The Washington Post, The Wall Street Journal, NPR, The Economist, Newsweek, and the Huffington Post among others. An astonishing odyssey of friendship, trauma, and the limits of solace, A Little Life is the story of four college classmates who move to New York City—broke, adrift, and buoyed only by their comradery and ambition—and the decades that follow. Yanagihara’s debut novel, The People in the Trees, is an anthropological adventure story and examination of cultural collision, colonization, and moral ambiguity. In her lectures, Hanya Yanagihara explores the themes of her novels as well as her journey to becoming a writer. Having published her first book at age 38 while still working full-time, Yanagihara encourages audiences to live creatively while balancing the demands of everyday life. Friendship, trauma, an alternative adulthood, the limits of love and healing: Yanagihara will speak about the themes she explores in her bestselling novel, A Little Life. Writing a novel at any age is difficult. But it's also possible. Yanagihara was 38 when her first book was published and working a full-time job as a magazine editor--as she was when her second book was published two years later. It's hard to do both: but it's also necessary . So how do you live a creative life when you have to earn a living—and how do you write when you feel you're all on your own? 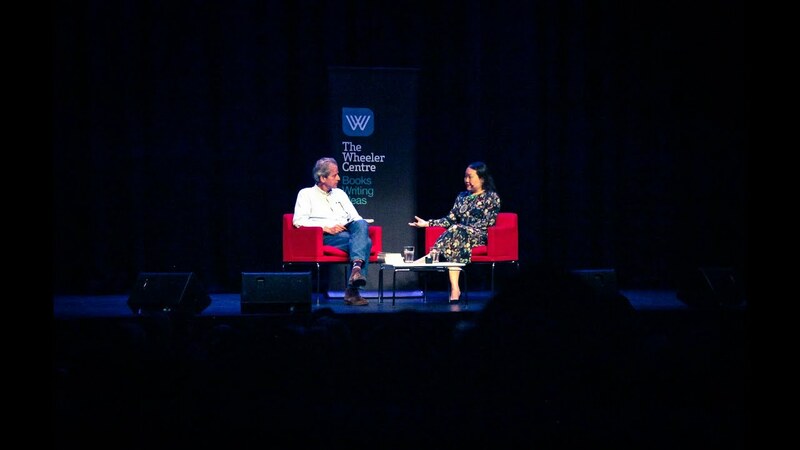 All of us are still basking in the afterglow of our wonderful experience with Hanya Yanagihara! The visit was a complete success. The conversation style event worked beautifully. She and Ania Spyra had a very natural rapport, and Hanya’s combination of brilliance and humor were so engaging. For our students who had studied her books, this was an especially meaningful experience. I think many of them were expecting someone too brilliant and creative to be approachable, and Hanya’s warm, down-to-earth attitude both at the public event and in the Q&A with the class was a lovely surprise for them. In short, she was a big, big hit with everyone! Exquisite…. It’s not hyperbole to call this novel a masterwork—if anything that word is simply just too little for it. A book unlike any other…. A Little Life asks serious questions about humanism and euthanasia and psychiatry and any number of the partis pris of modern western life…. A devastating read that will leave your heart, like Grinch’s, a few sizes larger. [A Little Life] lands with a real sense of occasion: the arrival of a major new voice in fiction…. Yanagihara’s achievement has less to do with size… than with the breadth and depth of its considerable power, which speaks not to the indomitability of the spirit, but to the fragility of the self. Exhaustingly inventive and almost defiant in its refusal to offer redemption or solace…. As for Yanagihara, she is a writer to marvel at. Haunting…. A standout novel… thrilling. Feels like a National Geographic story by way of Conrad’s Heart of Darkness…. 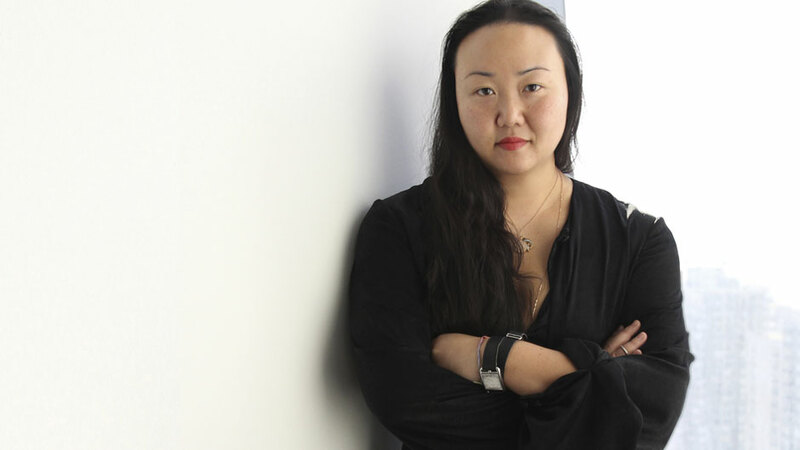 The world Yanagihara conjures up, full of ‘dark pockets of mystery’, is magical. Fascinating and multilayered…. [Yanagihara’s] storytelling is masterful… Hugely ambitious and entertaining.